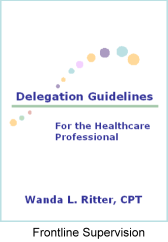 Those who will benefit from this resource are Employees who address patient complaints. 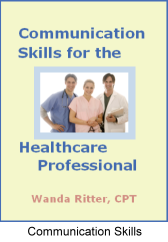 Managers who want to communicate effectively with employees, doctors, patients, and executive management. Managers interested in addressing performance issues quickly and effectively without making matters worse. 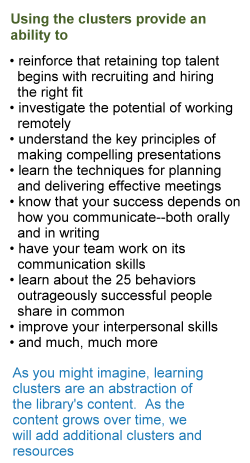 Those who want to build stronger teams through effective and respectful communication. Effective delegation is a critical management skill. Successful delegation motivates your staff and is a powerful retention tool. This book will give you planning strategies on how to delegate for smooth transfer of responsibilities. 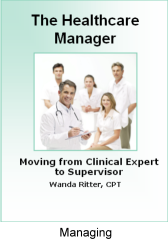 New managers, supervisors, and any staff in a supervisory role. Managers who may not be new but who are struggling to connect with their staff. Staff now managing former peers. Staff preparing for a promotion. Managers feeling caught between their staff and their supervisors. 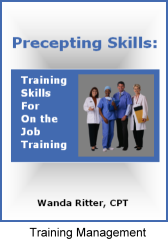 Those who will benefit from this resource are Staff who orient new hires. Managers who want to provide the best orientation for new hires. Educators and trainers who design, facilitate and support the orientation of new hires. Human resource staff who want to develop orientation programs that improve retention. Note: Don't pass these great resources up because you are not in healthcare. They are applicable to ALL situations.